A popular beach for all ages, Mayflower Beach has soft sand and small waves. At low tide there is plenty to explore in the numerous tidal pools. Mayflower Beach has super soft sand and during low tide has great tidal pools that are fun for the little ones to splash around in. The beach seems expansive, clean and also provides a great sunset. The ocean side beaches are also nice, but often have more shells and seaweed on the beach, as opposed to the cape side beaches. We visited this Beach along with the neighborhood beach and found it to be one of the most Beautiful Beaches visited. It does get crowded fast so we spent most of our beachtime at the neighborhood beach at the end of the street [Vacation Rental ID 8086] which was more relaxing and less crowded and a great place to unwind and watch the ocean. For the sunsets! You can walk out to the sandbars and get some great pictures. Come after five when parking is free and spend a magical evening enjoying the scenes. Nice calm waves and tide pools, GREAT for kids! You will think you are in the Caribbean when the tide goes out...Best beach anywhere but parking lot fills early. Weekly pass available in Dennis. Mayflower Beach is a short drive down Route 6A. Miles of white, fluffy sand; an almost entirely seaweed- and stone-free surf area; crystal clear water; itty bitty bay waves -- Mayflower is the ideal beach in my book. Fantastic for swimming, examining hermit crabs and minnows, teaching little kids to jump tiny waves. Doesn't hurt that it has actual bathrooms (not portajohns!) and several outdoor showers and foot-washers to clean off the sand. There's also a snack bar, but beware -- SUPER $$$ for very generic frozen-then-fried fare like chicken nuggets. The beach is huge. The water is crystal clear and warmer than the National Seashore beaches. You are able to walk out really far especially during low tide. We try to ride our bikes, but if we had our car we never had to wait more than a few minutes to park. This is the best beach when you have a large range in age of family members. Very shallow, clear water with many sand bars where you can walk out a long ways, and lots of opportunity for exploring small sealife (especially sand dollars, crabs, fish). Need to get there early (9-9:30) or you won't get parking space and cost is $25 on weekends. 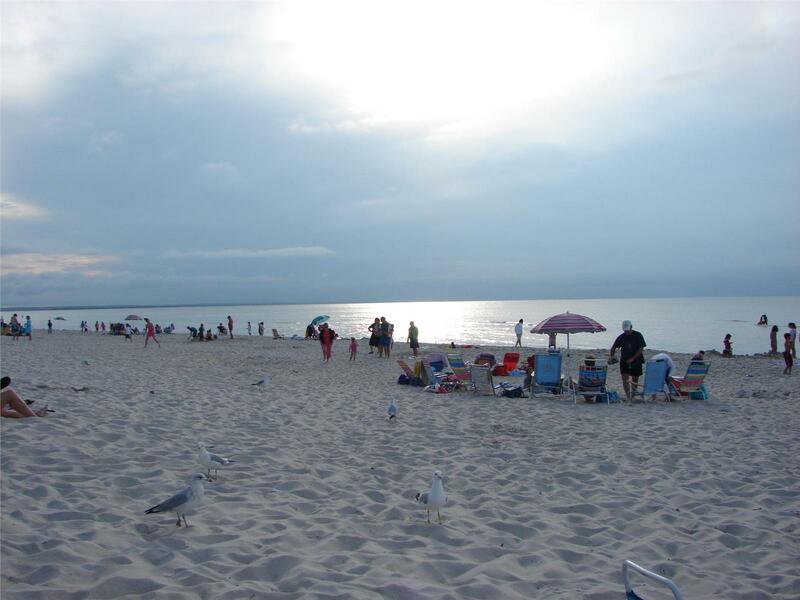 We love several beaches for different reasons but one of our top choices is Mayflower beach. The tide goes out super far, the sand is soft and clean and it’s a great choice for families with children. Lots of room for sports and tidal pools to explore. Only downside is that everyone knows this and if you want to get parking, especially on a weekend you need to be there by 8:30am for parking or you’ll be turned away. Very pretty beach with soft sand and minor waves. Best beach on the cape!!! Great for families with children. Get there early though! We preferred Mayflower to the other beaches in Dennis. It was cleaner, had better sand and seemed more family friendly. Beautiful beach with little to no seaweed (huge for our two young kids). Tide goes far out and water never gets too deep. Only downside is small lot so I recommend getting there early. OMG Mayflower was amazing! We spent 10 hours there one day and with 4 kids! Just beautiful there. Walk out a t low tide forever, tide pools everywhere, damn near crystal clear water. Get there early...well worth it! great for families with kids. clean water, small waves and you can walk out 1/4 mile without water going too high. So beautiful. Get there early or go late for ideal spot. Beautiful flat beach with gentle waves and warmer water. The beach is huge when the tide goes out, and there are lots of tide pools and little sand islands that make it super fun for younger kids. Great family beach with toilet facilities and a snack bar. Great tidal pools for the kiddies when the tide goes out. Clean,clear water, great walking beach! Just about the best beach on The Cape. Parking is expensive ($25/car) but the is amazing beach of all soft sand and shallow for quite a distance. Bring your floating devices, frisbees, and balls w no problem. The tidal pools at Mayflower Beach were the perfect way for our little ones to experience the beach for the first time. Beautiful wide white sand beach. Don’t have to climb over any rocks. Parking, restrooms and snack stand - or bring s picnic. I’ve been on a lot of beaches all over the world and this was one of the best. Been going to the Cape since 1958, and I believe there is no better beach. White sand, shallow way out into the water before it gets deep, so less dangerous for small children. Only people who live nearby can fit on the beach, and the public parking lot is relatively small, so "outsiders" are limited. Lovely! Amazing, huge beach!! Lots of tide pools and shallow water to play in. Incredible landscape at this beautiful beach. With the low tide in the morning, the beach was vast and the water very clear. We love Mayflower Beach because the water is clear and it's great for kids. The beach itself is beautiful and there's a great bathroom facility and snack bar. Get there early, but if you have small kids, it is worth it. Clear water and light waves during high tide. Tidal pools and tons of room for all activities during low tide. You have to leave pretty early to get parking, but this is by far my favorite beach on the cape! Good parking. Populated but not croweded. And decent facilities. We walked on Mayflower Beach several times on our trip. It's about a mile from the house [Dennis Vacation Rental ID 27755]. The sunsets are INCREDIBLE because the tide goes out so far. The kids enjoyed finding shells and crabs in the tidal pools. This is the best beach on the Cape! When the tide goes out, there is so much room to walk, and have dogs run around (off season only). And when the tide comes in, you can wade for miles because it is so shallowly sloped. Also, no large waves, so a great place for kids. This is a great beach to watch the sunset. When the tide is low you can walk way out onto a sandbar. The sand was so soft and white. Mayflower beach, one of the best, is just a 2 or 3 minute walk from the house Dennis Vacation Rental ID 9197. It is awesome to come and go as you please, morning, day, or evening, forgoing the daily "Lot is Full" sign that is up most mornings. Perfect for little ones. No waves and very warm. Sunsets are incredible! Awesome sunsets. You can walk for miles at low tide, great for little kids! We loved Mayflower beach! We visited at low tide and the beach was huge! The boys really enjoyed exploring the tide pools. I'd definitely recommend this beach to anyone with children! When the tide is out, you can walk out so far and explore some amazing sea life. Beautiful sunsets. Best beach on the Cape! At low Tide you can walk for miles. And the sunset is worth checking out! Parking lot is small and fills up quickly in the morning. I would recommend going around 2pm. That's what we did! Low tide is amazing with tidal pools everywhere. Perfect for young families. Yes, the beach is packed with lots of people, but it is one of our favorites when our grandchildren are visiting because at low tide you can walk way out and the little ones love the tidal pools! This beach is our favorite for our small kids. There's plenty of shallow water for them to splash in and clean soft sand for them to play with their beach toys. Best beach I have ever seen, the tides really make this beach. Clear Shallow water and soft white sand. Come early so you can get parking as it fills up fast. Perfect beach for kids! It was a very good suggestion from the homeowners. When tide is low there are very long stretches of shallow water and the sand is beautiful. The endless walking, sunsets, clear waters are awesome! the clean bathrooms and food are also nice to have. this is my favorite beach. wonderful swimming with shallow tide pools for children to play in at low tide. Huge expanse of beach makes it never feel crowded. You do need to get there early, especially on weekends, but the days we went later and couldn't get in with our weekly pass, we were able to go to nearby Corporation Beach free of charge...end of summer?? Love walking for miles at low tide on this gorgeous white sanded beach.... by far our favorite beach for a couple of generations...! What beautiful beach. Have been going there for 10plus years. Need to get there early, as the parking lot fills up and closes. Mayflower has been my fav beach since I was child. The tide goes way out and the water is clear and low on the sea weed. Best spot to spend the day and into PM to watch sunset. You have to get there before 9AM or you are out of luck! Def worth the early morning trip. Mayflower beach at sunset was one of the most beautiful places i've ever been to. This beach was close, within 1 1/2 miles from the house Dennis Vacation Rental ID 19458. It was large, flat and had great views, great sand and wasn't over crowded. It has a snack bar and restrooms really close. It does not have waves so body surfing is not available. great beach for families and breathtaking sunsets! It is heavenly. . .The water is crystal clear; the beach is vast; the sand is like silk; the vastness is so peaceful! Sensational views, gorgeous water and wide enough to walk for miles on! Miles and Miles of Beauty!! When the tide is out you can walk from Mayflower Beach - go left to Chapins Beach and then go right to Corporation Beach ! The Beach staff / life guards were very helpful to secure any area where glass was found - this is our ultimate beach - We LOVE Mayflower Beach!!!! Beautiful beach! Small waves and plenty of room to lay out your stuff without being on top of somebody. At low tide you can walk for miles...great for shell hunting! Get there early because the parking lot gets full very fast. Sunsets are gorgeous and the beach extends for miles during high tide and creates tiny pools along the way. The beach sand is also light and fluffy and free of lots of seaweed. Great sized beach with amenities and lots of room to explore for kids. We got there at 11:00 am one day and were turned away because there was no parking. We came back the next day at 9:30 am and the lot was half full already - GET THERE EARLY! Mayflower beach is my kids' favorite beach. The beach has beautiful sand and calm waves. The water is relatively warm, and you get a huge beach at the low tide. The only problems are parking. Because it is such a popular beach, the parking lot get filled up quickly. You have to get there by noon to get a parking. Great beach to walk during low tide...Feels like you are in the Caribbean. Absolutely beautiful and our family favorite. Just plan to arrive early as parking is at a premium. If you are stayling for the week purchase a pass at the Dennis Municipal Building valid Saturday- Friday. Mayflower is terrific! We love low tide which extends out forever! plenty of room for bocci, wiffle ball, corn hole and just tossing a football around! Calm but with more waves than usual for bayside beach. Fantastic Beach, Great Sand Bar ! Stay for hours!! Kids never get bored! A large wide beach, soft sand, clean bathrooms and Restaurant. The sunsets are amazing. Only 20 minute drive [from Property ID 19707]. If your going for the day, arrive early as parking fills up quickly. Beautiful, large beach, very sandy, no seaweed, everything wonderful, sandwich bar, indoor bathrooms, outdoor rinse off shower. Only flaw, if you don't arrive between 8:30 - 9:00 am there is a good possibility you won't have parking. Loved Mayflower Beach. This beach was simply beautiful! When you walked down and finally saw it, it just sprawled on and on. The water was so pretty and blue - not murky or full of seaweed like many beaches. There were so many small "pockets" of very shallow water that the kids could play in. The water was warmer and calm, perfect for the kids in our group. This beach was the obvious "winner" and we visited four total, I believe. Get to the beach by 9:30 or you might not get parking! Amazing beach! Get there early as the parking lot fills up fast! Just wonderful! Visit at sunset! We arrived at low tide and so we could go way out and walk for miles. Good restroom facilities. Bay side. Nice calm beach for 6,4, & 2yr olds amazing at low tide!! Made it more relaxing on the parents. Great for families as water is shallow and warm, soft sand. 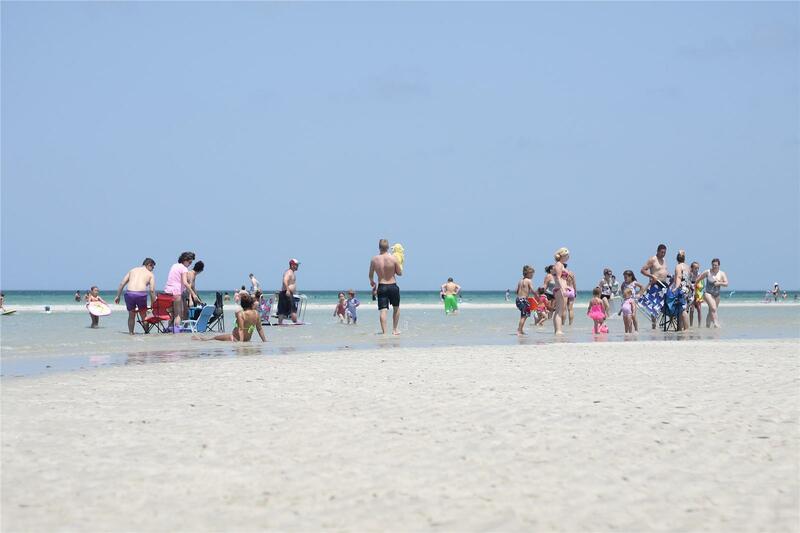 Mayflower is a perfect family beach, especially if you have little ones. There are little to no waves and the water is clear. They have restrooms, snack bar, and a shower. There are plenty of lifeguards on duty, but it can get crowded. Excellent location, beautiful white sand, one could spend the whole day there!!!! Beautiful sunsets, you can take walks in either direction for miles when the tide is out ! A favorite for all families and this is a MUST see for anyone who visits the Cape. 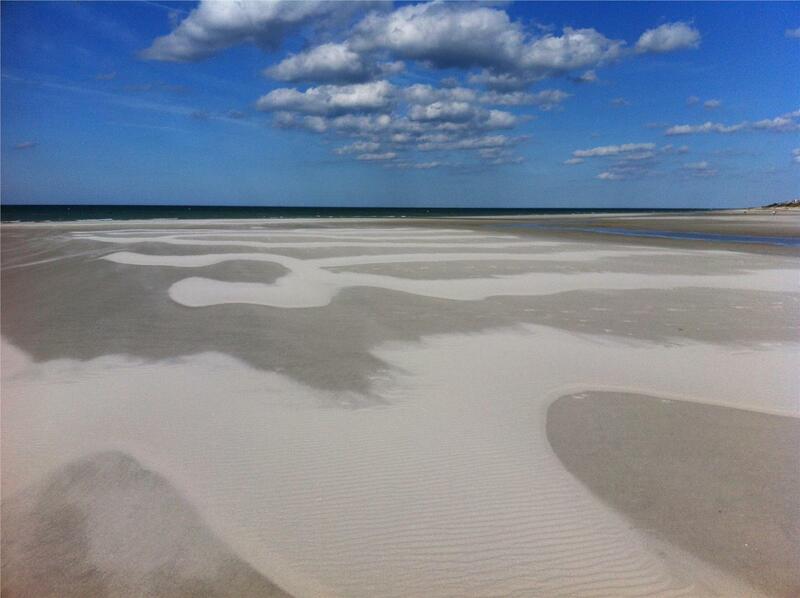 After visiting Mayflower Beach - you will truly fall in love with Cape Cod !!! Its clean and beautiful...so much fun with little fish swimming around in low tide. Huge beach when the tides goes out. Great for children and families. The beach is very clean, expansive, and family-friendly. It was a favorite because the water was the perfect temperature; it wasn't crowded when we went at 4:30 to 5 pm and we had more fun building sand castles--called them "Gigi's Cakes" which the children put all the ingredients in (the sand was their eggs, flour, chocolate)--imagination pervailed. Locally, we loved going to Raycroft Beach. But Mayflower was just beautiful with the clear water and sand bars by the shore line. At times it was like one big puddle for our 3 year old! It's crowded, but our 8 year old made a handful of friends that day! Worth a trip!